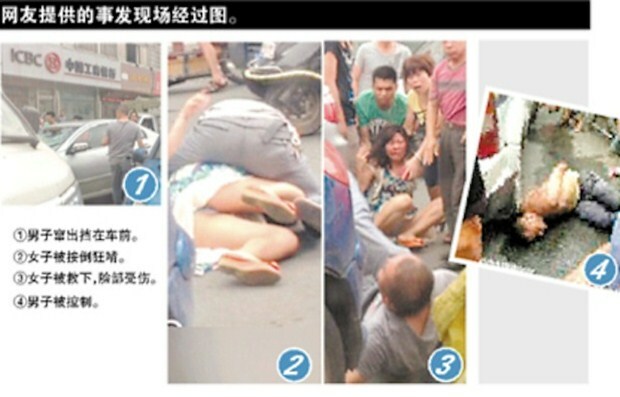 A bus driver has been detained after he chewed on a female driver’s face after blocking her car on a road in Wenzhou City of Zhejiang Province. 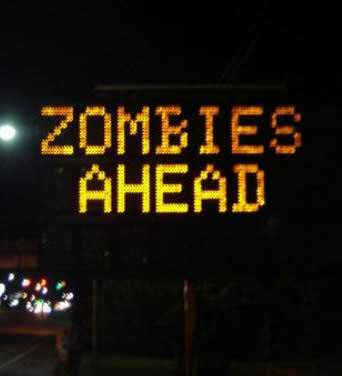 The incident is very reminiscent if recent Zombie Attacks in Florida earlier last month. Police Officials said the incident occurred near a bus station in Ouhai District at 2pm on Tuesday when a man surnamed Dong rushed onto the road and blocked the vehicle of a female driver. The man then climbed on the car’s hood and started hitting the windshield while Du screamed inside, police said. Several minutes later, Du got out of the car to flee as the man had broken through the cars windshield. but the man jumped on her and started chewing on her face once they were on the ground, police said. Witnesses said Du’s face was covered in blood, while several good samaritans tried to pull Dong off the woman. Police arrived on the scene and managed to pull him from the victim, but it took 5 officers to subdue the man.